Congratulations to Faye Ridling at 635 Ivy Road. 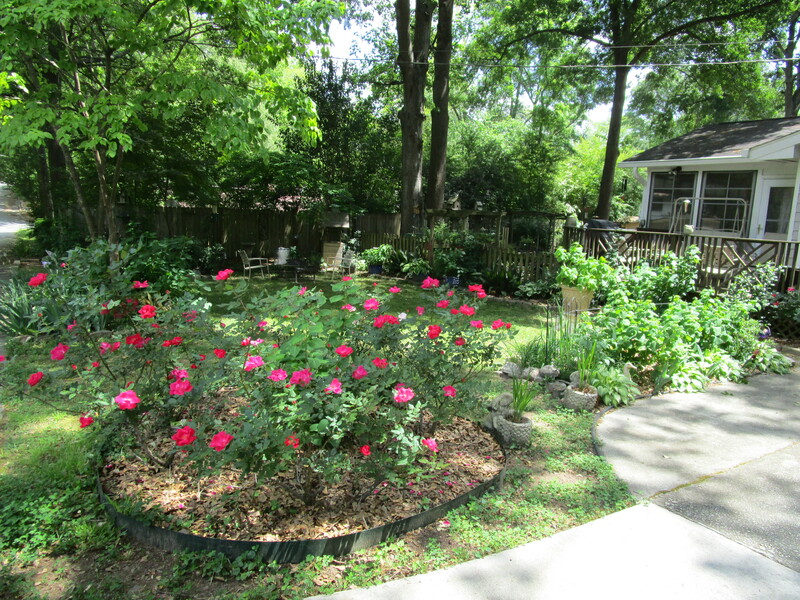 The yard is really a garden with lovely azaleas, roses, hostas, and other beautiful foliage and decorations. Faye receives a Hall’s Gift Certificate, free PLAIN breakfast, the yard sign, a certificate, and this article in PLAINTalk. I keep a list of nominations for future reference and welcome nominations anytime at creechgreg@bellsouth.net. 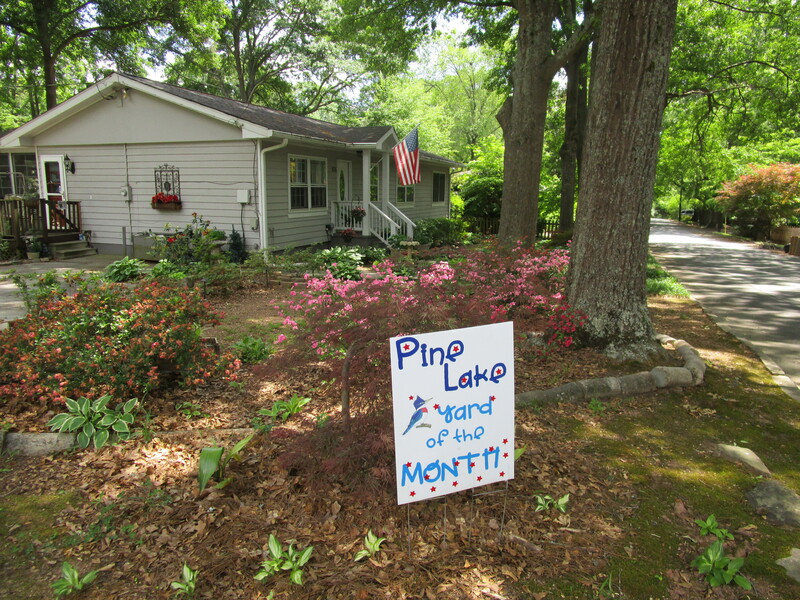 Thanks, Faye, for a gorgeous, Pine Lake yard.